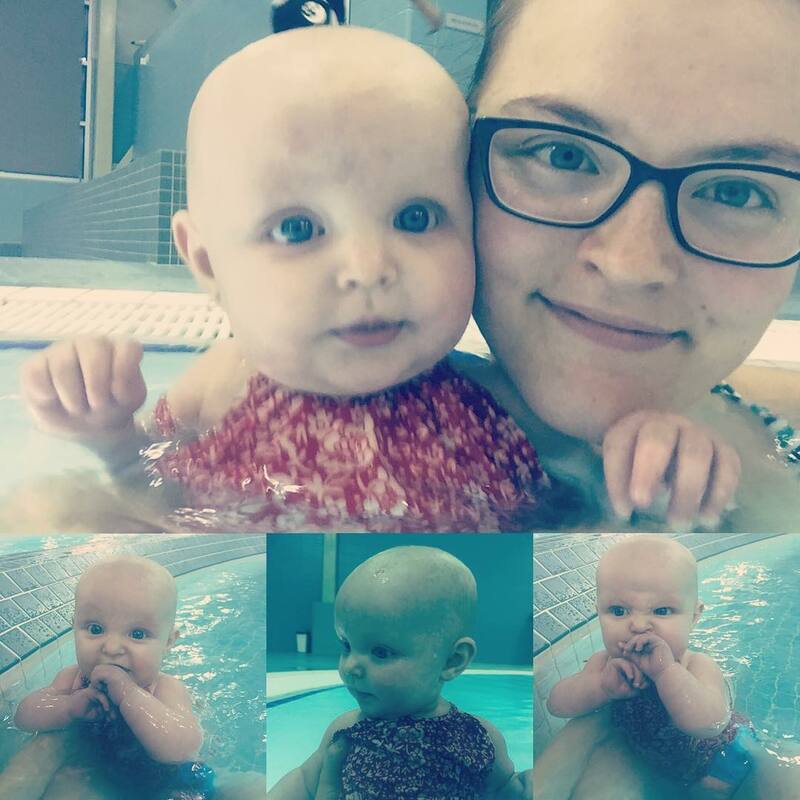 Our family loves swimming, and last year our city lucked out with the addition of a new swimming pool – The Manluk Centre – Wetaskiwin Regional Aquatics and Fitness! Our brand new pool includes features like: TWO new waterslides, a learn-to-surf station, a warm kiddie pool with lots of toys and mini-slides, a lazy river which has a current that pushes you in a circle around a smaller inner pool, a large pool for kids to swim in, and a deep pool for swimming laps! The best thing about this pool, you ask? Free admission on Family Day! Our family had loads of fun! My step-son (O) enjoys the board-rider the best – even if he can’t stay up on the surf board for long, he loves the feeling of falling off into the fast-flowing water! My daughter (K) and I love the lazy river because we can just float around without doing too much work. And my husband’s (L) favourite part… hmmm… well his favourite part is having fun with his kids! The Manluk Centre also offers PD day activities for students, including specific courses in babysitting and home alone safety. In addition to having a full gym overlooking the pool, they also offer many types of dance and fitness classes, both in and out of the water! Our family just loves this place!